Tofilau Eti Alesana’s ruling Human rights Protection Party (HRPP) from which its original leader Vaai Kolone had disassociated himself because he felt he could not any more influence members away from abusing power and other questionable practices was returned to power unopposed yesterday. Tofilau was declared prime minister by the Speaker Nonumalo Sofara when no other nomination for the country’s top post was made after Vaai Kolone had declined his own nomination. Nonumalo had earlier been re-elected unopposed and was sworn in by the Head of State His highness Malietoa Tanumafili 11 at the government house at Vailima. 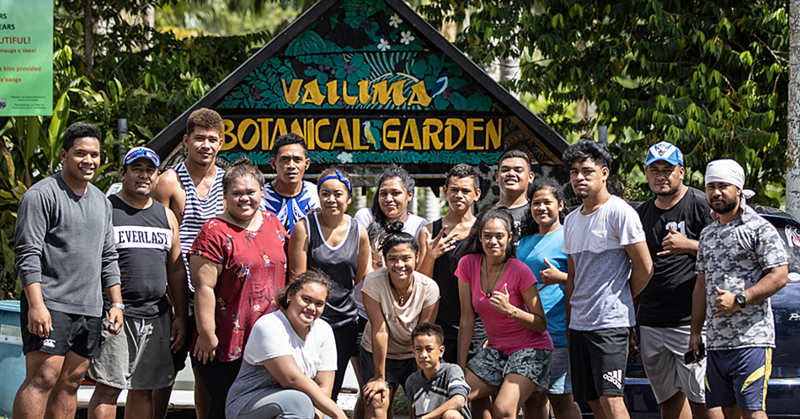 Tofilau was nominated by Faasootauloa Semu Pualagi who is also the general manager of the Western Samoa Trust Estates Corporation (WSTEC). An MP of the opposition Christian Democratic Party (CDP), Fuimaono Mimilo, then nominated Vaai but before the nomination was second, Vaai took the floor to decline it. Speaker Nonumalo accordingly withdrew Vaai’s nomination then ordered the nominations closed when a motion for that purpose was made by Le Tagaloa Pita, the MP who last week publicly announced his defection from the HRPP. Like the re-election of Nonumalo as Speaker Tofilau’s nomination was brief and uneventful. 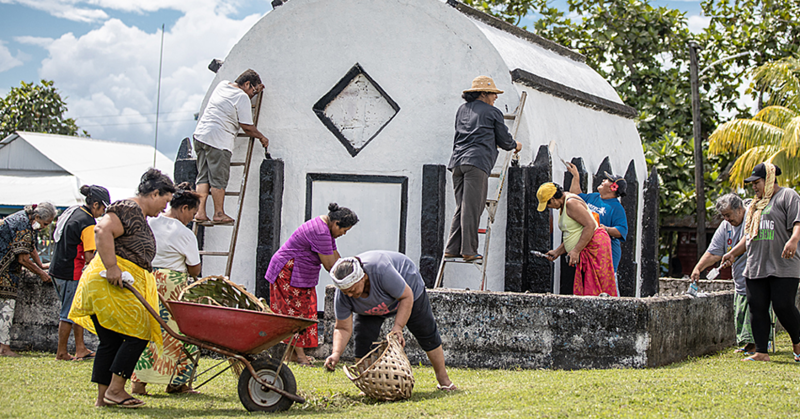 But the elections yesterday followed the HRPP’s live-in campaign at the government house at Matautu-tai which they had taken over as their headquarters since general elections on 22 February. Although the HRPP was returned in the general elections with a majority of 15 seats in the 47 seat Parliament there were fears that some members would walk the floor during the election of a Prime Minister. The month-long campaign was to ensure that this would not occur. But two weeks ago, Vaai announced he was disassociating himself from the party because he felt that it had moved away from the ideals it had formed itself to follow. 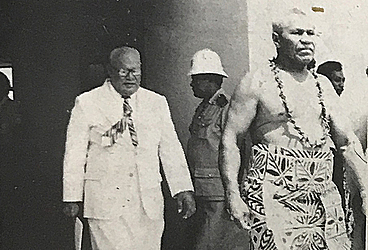 In his public statement, Vaai said he realised now that he could not influence the party any more suggesting that there have been abuses of power in high government positions Tofilau’s deparuture was followed by that of Le Tagaloa Pita last week who announced that he was making good his decision to leave the HRPP. Le Tagaloa’s wife, Dr Aiono Fanaafi, is one of two women MP in Parliament and it was not clear if she too was leaving the party. But in an interview with a reporter last week, Le Tagaloa said he had not been to any HRPP meeting since 26 February, the day he informed Prime Minister Tofilau and his party of his deep dissatisfaction with the government’s performance during the last two years. Among other issues Le Tagaloa was dissatisfied with was tender system of allocation which the government had dropped. Le Tagaloa, who helped set up the system, told the Samoa Times that he could no understand why the government said the system was wrong for the purchase of foods and other commodities but it was alright for the purchase of oil. He also accused the government of “obvious favouritism” in the allocations of equipment and machinery for the construction of access roads. For those reasons, Le Tagaloa announced that he would vote for Vaai when a Prime Minister was being elected yesterday. 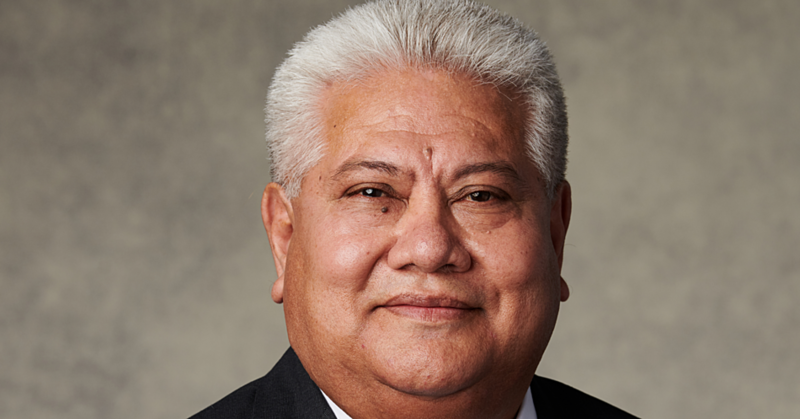 But at the same time Le Tagaloa announced his resignation, the HRPP chairman Tuigamala Anetipa was also announcing his own resignation from the party. He reportedly said his relationship with Tofilau had been strained for quite sometime which was apparently caused by the lack of appreciation shown for his contributions to the party since it was formed.